The PRS Silver Sky is the result of a close collaboration between Grammy Award-winning musician John Mayer and Paul Reed Smith. More than two and half years in the making, the Silver Sky is a vintage-inspired instrument that is at once familiar but also newly PRS through and through. 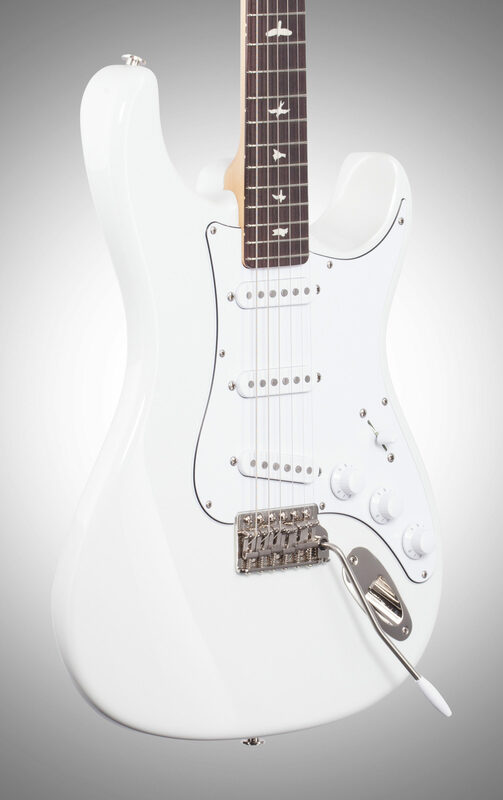 This model was based off of Mayer and Smith's favorite elements from 1963 and 1964 vintage instruments, resulting in an idealized version of a vintage single-coil guitar. The attention that was paid to every detail sets this guitar apart. 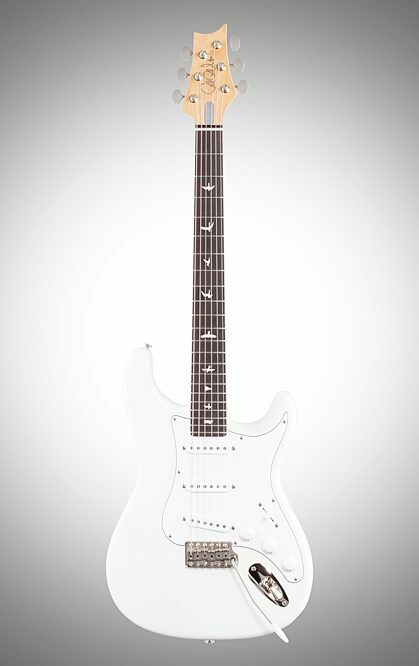 Some of the more distinctive specifications include, the headstock shape, tuners, neck and fretboard, bridge, and pickups and electronics. 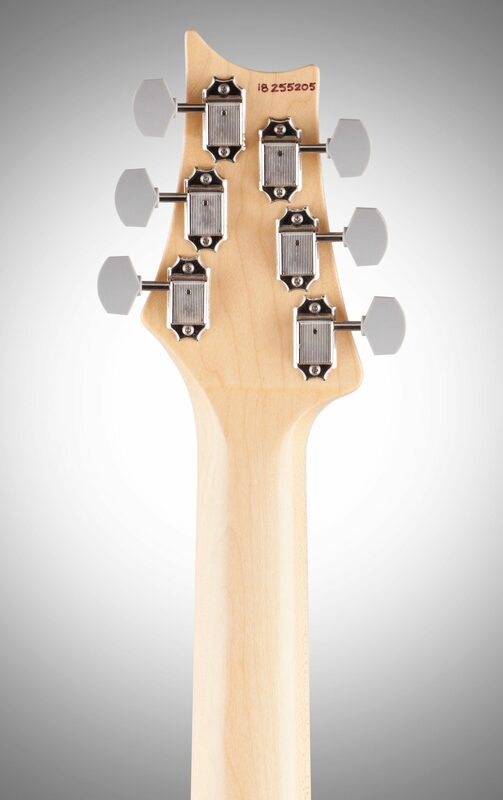 The headstock shape is based on PRS's trademark design, but inverted to both accommodate Mayer's playing style and also to keep a consistent length of string behind the nut, which makes staying in tune easier. 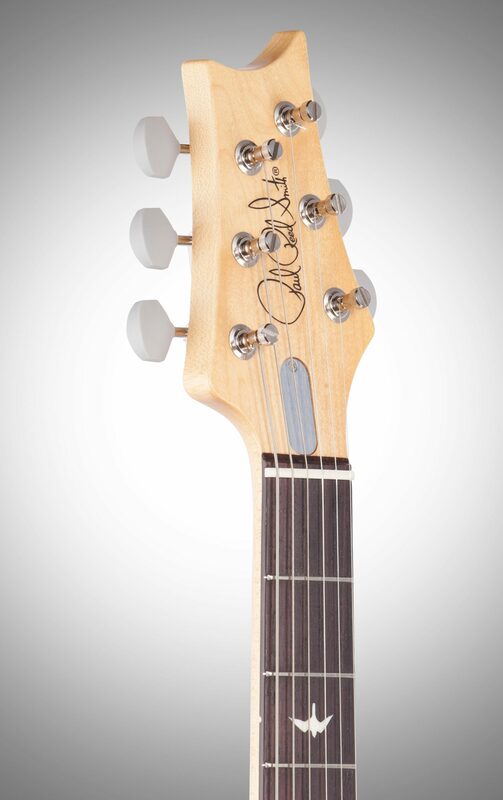 The tuners are a traditional vintage-style, closed-back tuner, but with PRS's locking design. 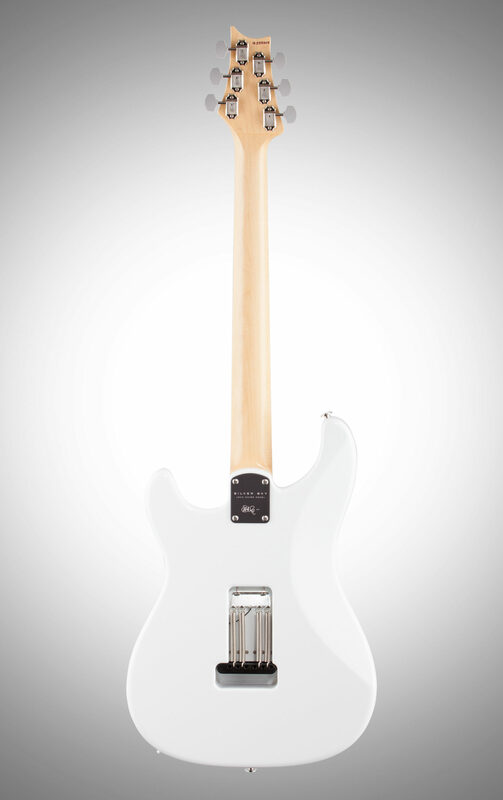 The neck shape was modeled after 1963/1964 vintage instruments, and the fretboard has a 7.25" radius. The moment your hand grabs this neck, it just feels right. Like the tuners, the steel tremolo takes a classic design and incorporates PRS's trem arm and Gen III knife-edge screws. 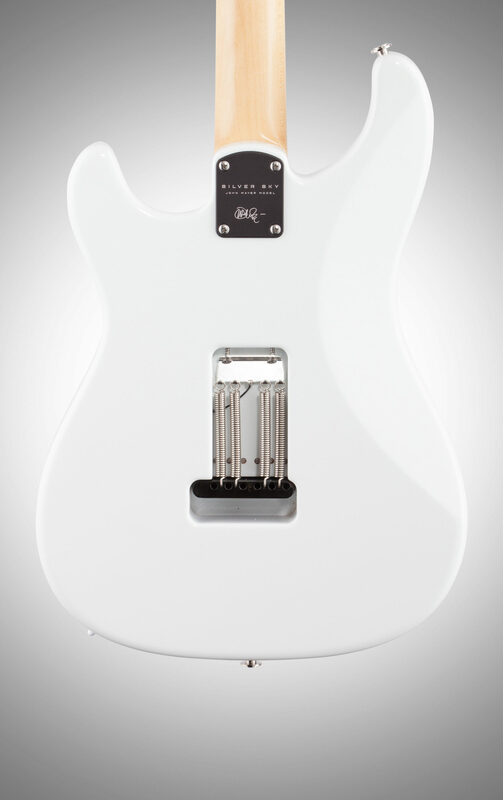 The bridge on the Silver Sky is setup flush to the body in the neutral position so that the tremolo bridge only goes down in pitch. By keeping the bridge in contact with the body, the guitar itself is acoustically louder, which improves the signal to noise ratio of the single-coil pickups. 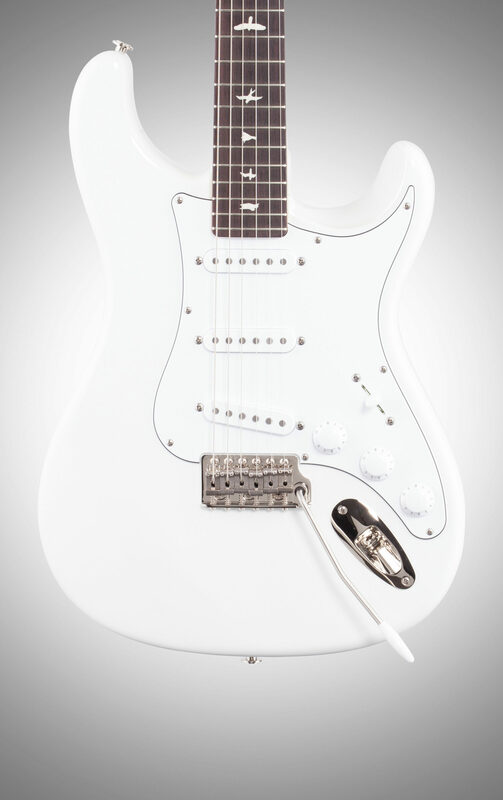 The 635JM single-coil pickups are very round and full, with a musical high end that is never "ice-picky" or brash. 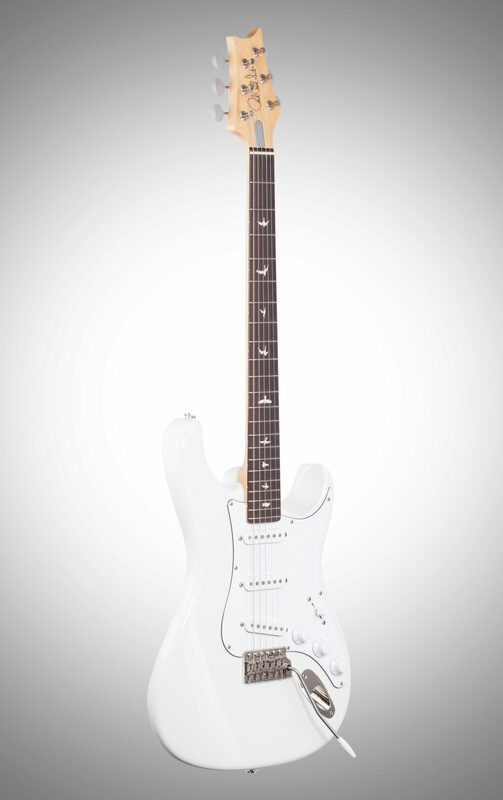 Other high-quality specifications include a bone nut, a molded metal jack plate that is curved and makes plugging and unplugging a guitar cable hassle-free, retooled knobs, fretwire that is slightly smaller than what you'd find on most PRS electric guitars, and PRS's double action truss rod (accessible from the front of the headstock for ease of use).